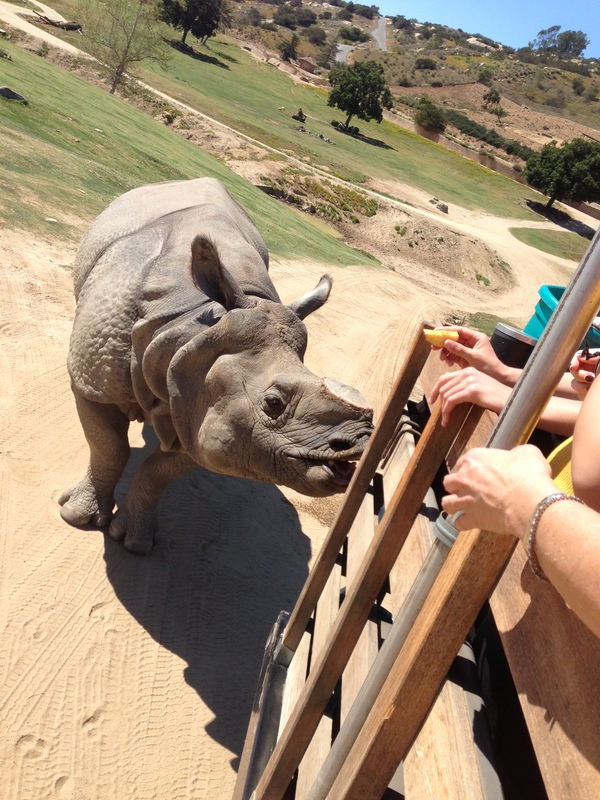 The tour we went on through the safari park was very educational. 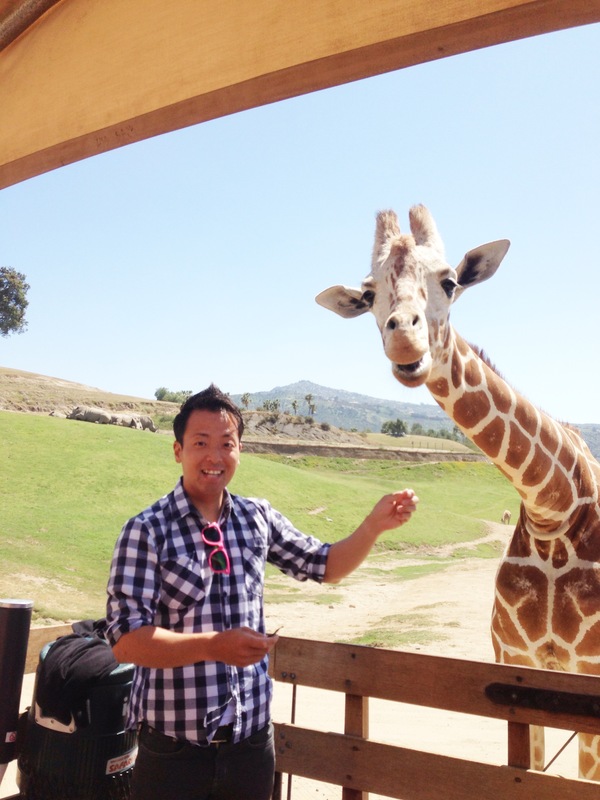 I learned so much about each and every animal. 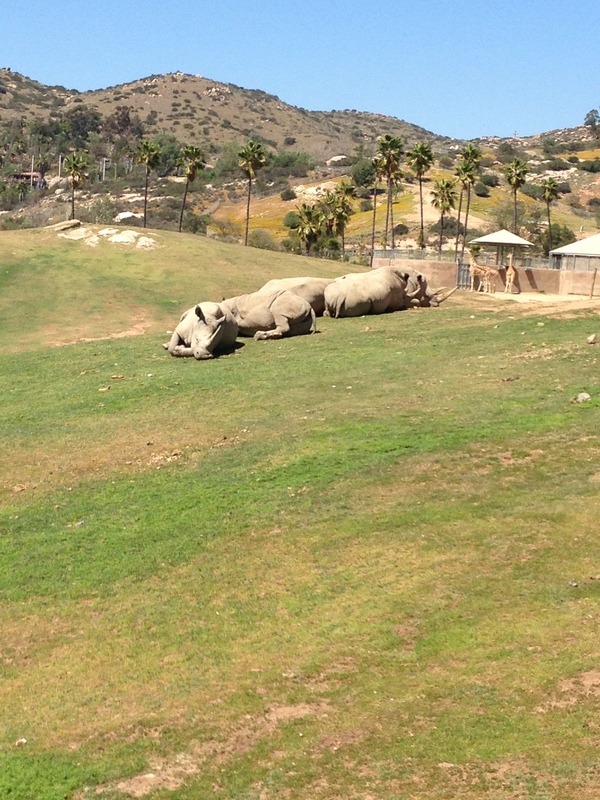 Many of the rhinoceros in Africa are endangered especially the black rhinoceros, but here at the safari park, they have created a breeding ground for the rhinoceros to reproduce. They have biologists helping with the process. The reason why many are becoming endangered in Africa is because many of them are killed for their horns. The horns are used for medicine that is suppose to cure many ailments. There is no scientific evidence that horns do cure any illnesses, but since this cultural belief has been carried from generation to generation, many people still believe in its power. 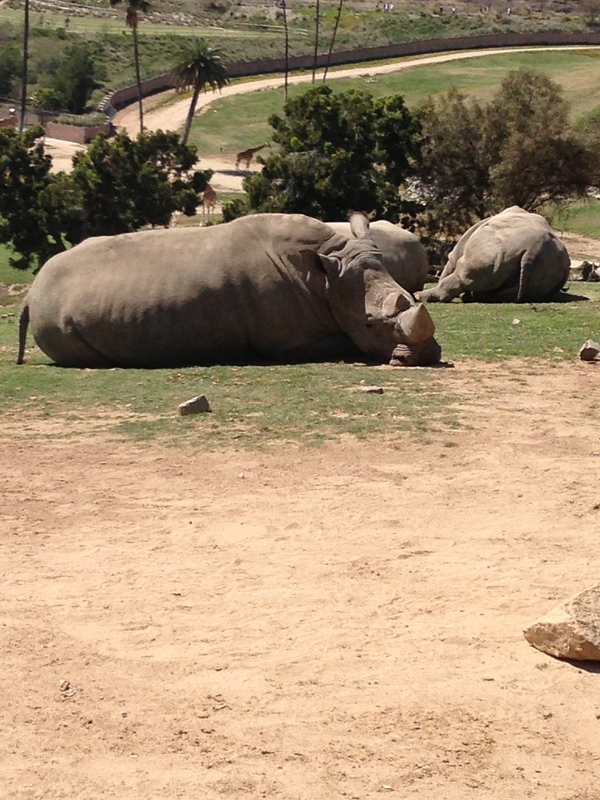 I asked the tour guide if they needed those horns in mass productions why don’t they simply cut the horns of the rhinoceros without killing them. 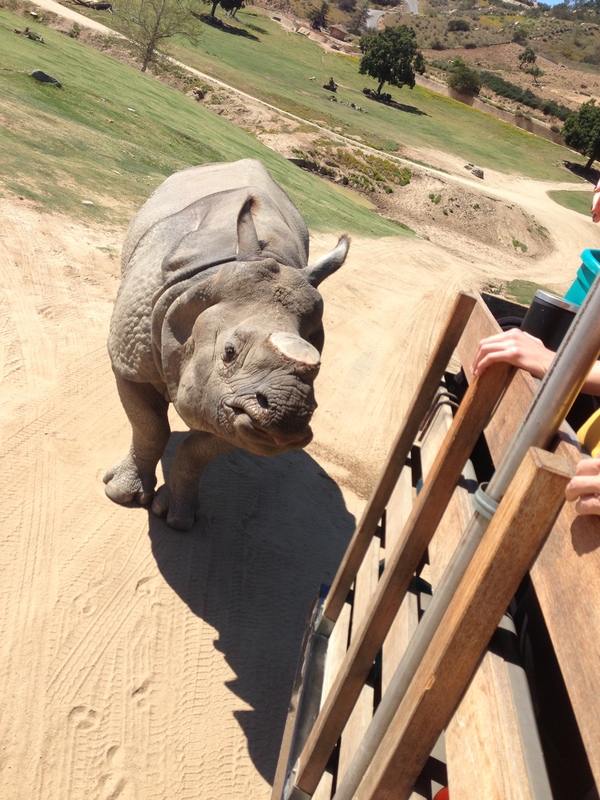 The tour guide responded that it takes a person to have a certain amount of education to make that connection that by killing rhinoceros, it will decrease their supply and their demands will not be met. It really is unfortunately how these beautiful creatures are killed by a myth that has been passed from generation to generation. 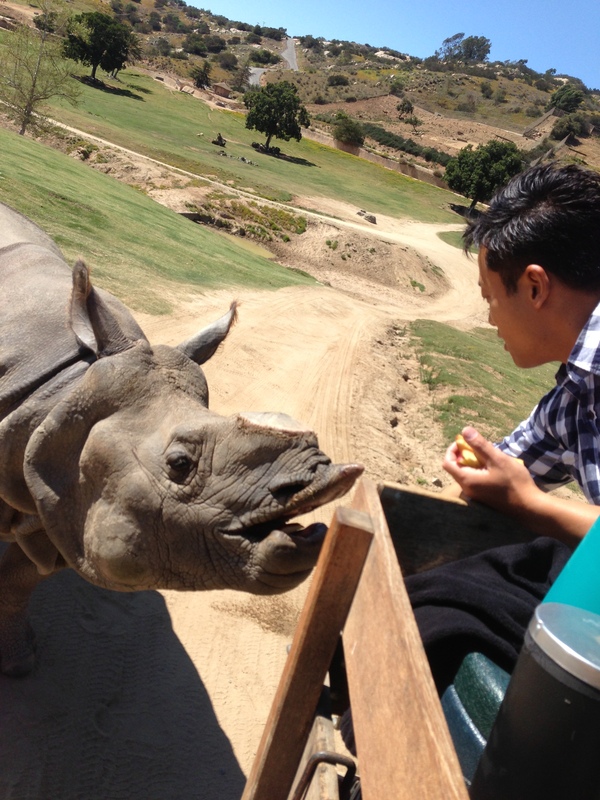 I hope they somehow dispel this myth before the rhinoceros become extinct. 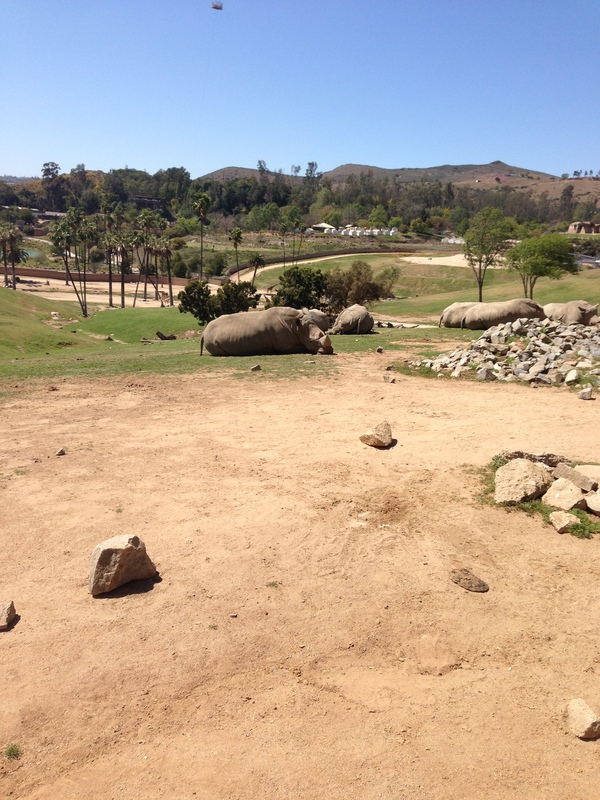 Here are pictures we took at the safari zoo. 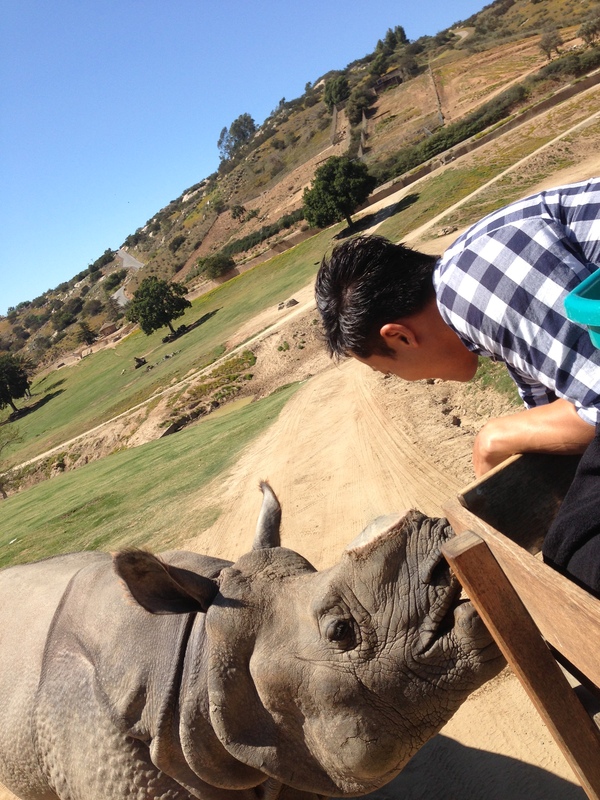 If we were fortunate to have animals come close to our tour, we were able to feed them. 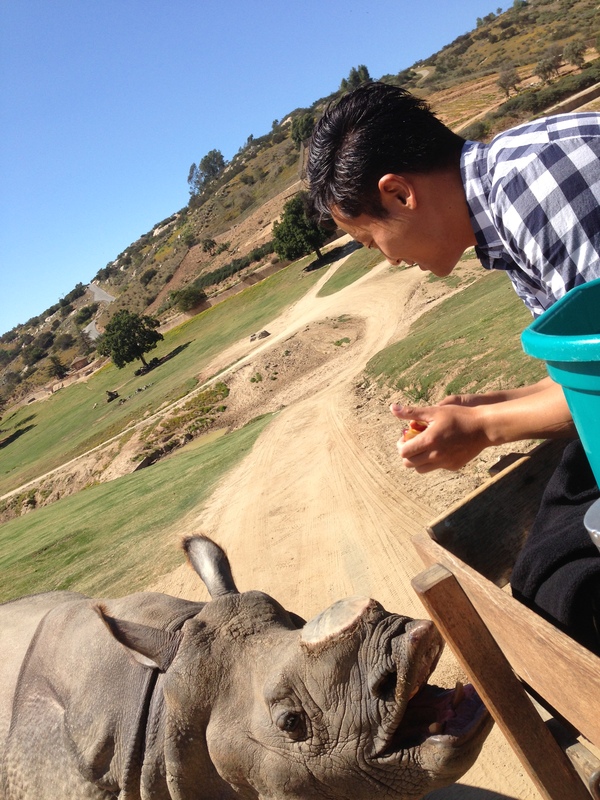 Here are pictures of us feeding the rhinoceros. 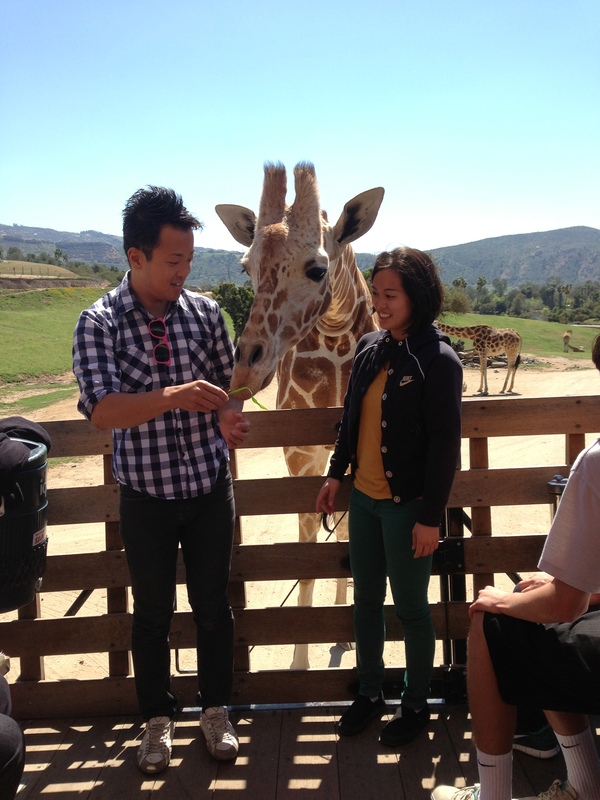 We were also allowed to feed the giraffes. 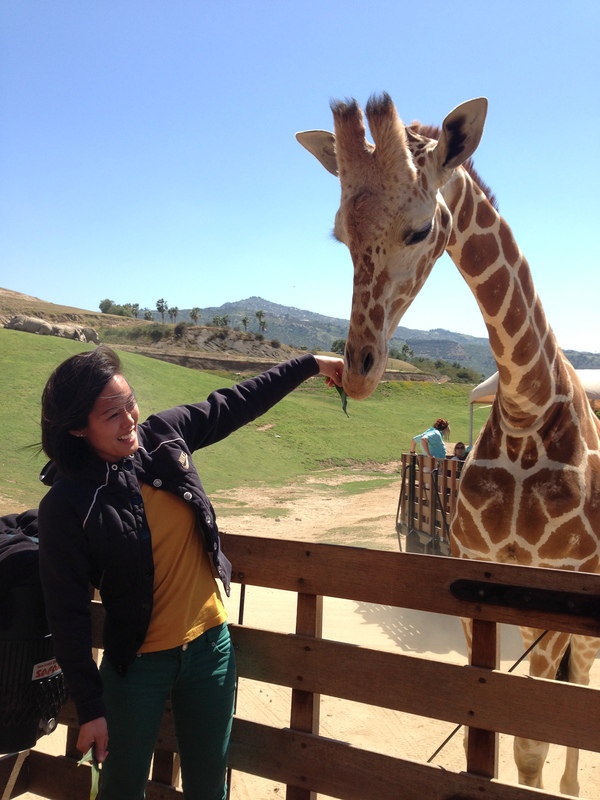 It was fascinating to learn about how giraffes adapt to their surroundings. For example, the tour guide shared how they have a special enzyme in their saliva that is antibacterial, which protects them from the fire ants and the acacia thorns that are on the acacia plants they eat. 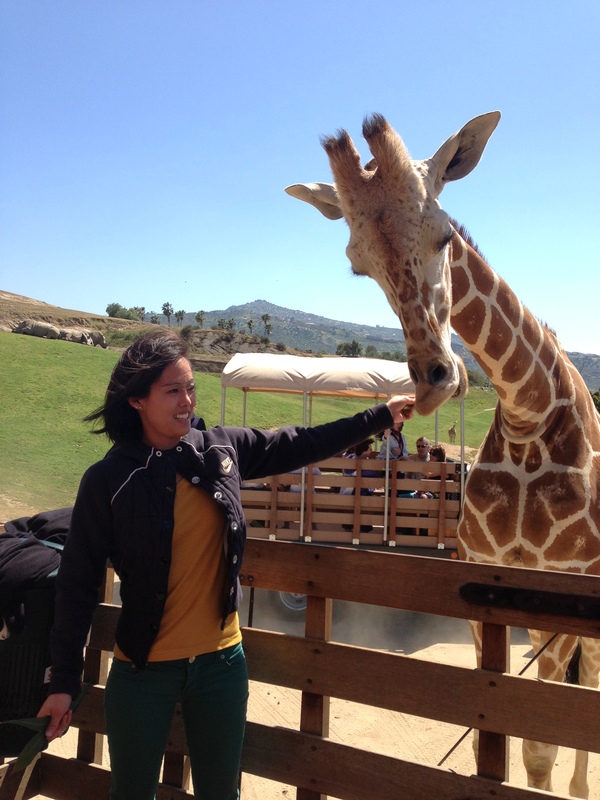 The tour guide also explained to us that the safari park is segregated into herbivores and carnivores for obvious reasons. If they put them all in the same area, it would replicate what’s in Africa, but they couldn’t afford having families be traumatized with witnessing the occasional hunting that occurs in nature. Now, why would we want to traumatize our future generations of seeing what happens in nature? 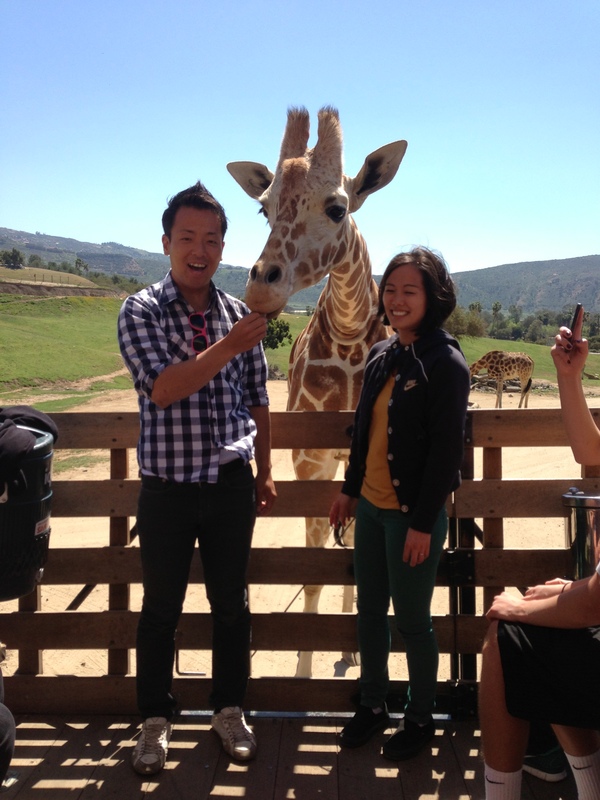 This entry was posted in Travel and tagged サンディエゴ, サンディエゴのサファリ, best things to do with kids in san diego, giraffe, giraffe pictures, most popular things to do in san diego, rhinoceros, rhinoceros pictures, San Diego, san diego family activities, san diego safari, san diego safari zoo, san diego vacation, things to do in san diego this weekend, top 10 things to do in san diego with kids, vacation san diego. Bookmark the permalink. ← Places for Selfies in New York?